Orange City’s 2019 Tulip Court was elected on Wednesday, Sept. 19, 2018. 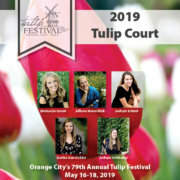 Tulip Court members for the 79th annual Tulip Festival are: Aarika Van Gelder, daughter of Larry and Phyllis Van Gelder, Allison Haverdink, daughter of Mark and Suzanne Haverdink, Emma De Groot, daughter of Don and Michelle Vaas, Jadeyn Schutt, daughter of Bruce and Amy Schutt, Jadeyn Veltkamp, daughter of Brad and Susan Veltkamp. A Queen’s Tea and Pageant will be held on November 12 to crown the 2019 Tulip Queen. 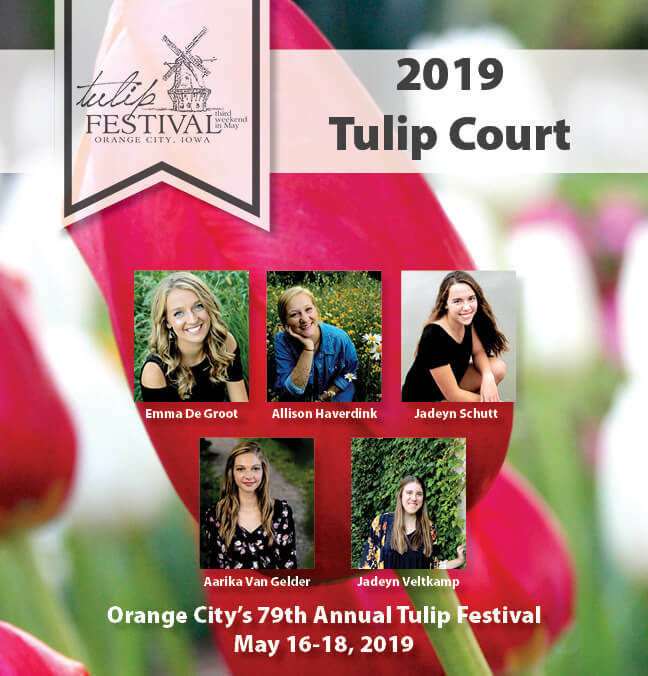 The Queen and Court will serve as ambassadors for Orange City’s 79th annual Tulip Festival, set for May 16-18, 2019.